From Practice to Praxis is an exploration of the development of ethical practice as it applies to the meaning of quality within the tradition of practitioner inquiry and participatory research. 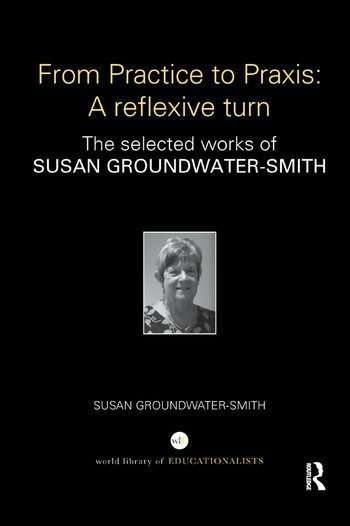 Chronicling some of her most important works, this is a compelling overview of Susan Groundwater-Smith’s contribution to the evolution of the nexus between thinking and theory as it stands between the academy and the field. It traces the steps between instrumental reasoning towards a more liberatory and challenging stance. The book selects from a number of publications, each representing the genesis of the nascent ideas that have informed Susan’s practice as a scholar and researcher. Taking a praxis stance draws attention not only to procedural concerns, how things are done; but also substantive issues that are associated with different forms of dialogue and trustworthiness, why things are done. In addition to the assemblage of articles and chapters, the book is prefaced by a long essay that reveals those features of the writer’s self-understanding as it is illuminated throughout the selection. The work is situated within a professional life-history, as well as relating to extant writings on theory and practice within a complex cultural and ever-changing professional educational environment. From Practice to Praxis will appeal to initial teacher education students in both primary and secondary settings, as well as post-graduate students with an interest in action research/participant research with both practitioners in the field and young people. Susan Groundwater-Smith is Honorary Professor at the Faculty of Education and Social Work, University of Sydney. She has over fifty years of teaching and academic experience in both mainstream and special education.